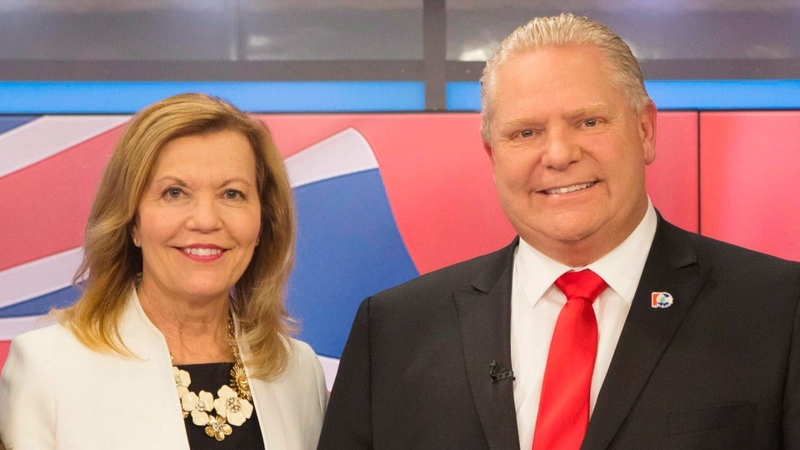 After initially challenging the results of the Ontario Progressive Conservative leadership race, Christine Elliott has conceded defeat and congratulated winner Doug Ford. "The pace of this Ontario PC leadership race has been rapid and there have been a number of unexpected turns along the way. That is why our team took the last twenty-four hours to review the results of an election that was incredibly close,” Elliot said in a statement released after she met with Ford at an undisclosed location Sunday afternoon. “After completing my review, I am confident in the results. I extend my congratulations to Doug Ford on a hard-fought campaign,” she said. Elliott had initially disputed the results of Saturday night’s leadership vote, citing “serious irregularities” in the race in which she lost to Ford by a narrow margin. She claimed to have won the popular vote and the majority of ridings, with “fewer than 150 points difference” between herself and Ford in the final count. She also claimed that thousands of party members were assigned to incorrect ridings. In a statement released Sunday afternoon, Hartley Lefton, who chaired the party’s leadership election organizing committee, said the party will “be stronger than ever” under Ford’s leadership. In her statement on Sunday, Elliott said she remains a committed Progressive Conservative. “Ontario needs a Progressive Conservative government to finally defeat Kathleen Wynne and I look forward to running as a candidate on the team that will form that government on June 7th,” she said. Ford thanked Elliott for her statement and called her “a great friend” in a tweet Sunday night. Ford later issued his own statement praising Elliott and saying the two of them “stand together” as the PC party heads into the provincial election.